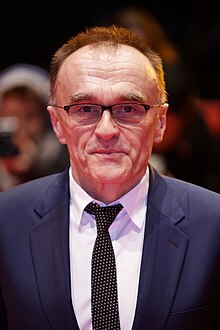 Director Danny Boyle told a writer for Metro that he plans to direct Bond 25, with production starting at the end of 2018. Boyle confirmed he was also involved with a musical. Regarding Bond 25, he added: “John Hodge, the screenwriter, and I have got this idea, and John is writing it at the moment. And it all depends on how it turns out. It would be foolish of me to give any of it away.” Boyle spokes to Metro Wednesday in New York. Boyle’s comments confirmed reports in Variety, Deadline: Hollywood and the Daily Mail that Boyle was in the picture to direct Bond 25. Variety first reported Boyle could direct the film. Deadline first reported Boyle’s involvement depended whether the Hodge script was accepted. The Mail said Boyle planned to do the musical and Bond 25. The Hollywood Reporter had reported about the musical, saying it would be Boyle’s next movie. Eon Productions last year hired veteran 007 screenwriters Neal Purvis and Robert Wade to write Bond 25. Eon and Metro-Goldwyn-Mayer including their involvement in a July 2017 press release that said the film would come out in November 2019 in the United States. That was before Boyle and Hodge pitched their idea, which Hodge is now writing. UPDATE (12:15 p.m.): The Associated Press has a tweet out that includes a short video of Boyle saying pretty much what he said to Metro.